Dr. Morgan specializes in open and endovascular techniques for the treatment of vascular diseases. Her practice includes treatment for aortic aneurysms, carotid disease, peripheral arterial disease, venous disease, and other vascular disorders. Courtney Morgan provides a wide range of services including Abdominal Aortic Aneurysm (AAA) Repair – Endovascular, Abdominal Aortic Aneurysm (AAA) Repair – Open, Angioplasty With Stent Placement, Carotid Endartecotomy, Carotid Stenting, Extended Efforts in Limb Salvage, Peripheral Artery Bypass, Thoracic Aortic Aneurysm Repair (Endovascular Graft), Thoracic Aortic Aneurysm Repair (Open Surgical), Thoracic Outlet Syndrome Treatment, Varicose Vein Treatment. Dr. Morgan’s research interests involve improved healthcare delivery for patients with vascular disease. 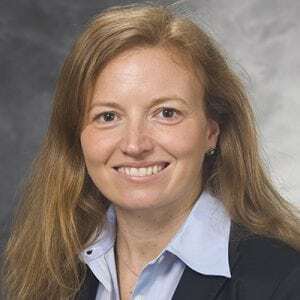 Her interests include development of centralized programs for treatment of patients with vascular disease and evaluating frailty as a target to improve outcomes in vascular surgery patients. Correction to Tissue-Factor Targeted Peptide Amphiphile Nanofibers as an Injectable Therapy To Control Hemorrhage. Ten-year review of isolated spontaneous mesenteric arterial dissections. Targeted Nanotherapies for the Treatment of Surgical Diseases.